Advanced Fluro Tubes is a PTFE Tube manufacturer and supplier. We manufacture world class PTFE tubes ranging from 0.8mm to 28 mm ID and 0.25mm to 3.5 mm wall thickness. 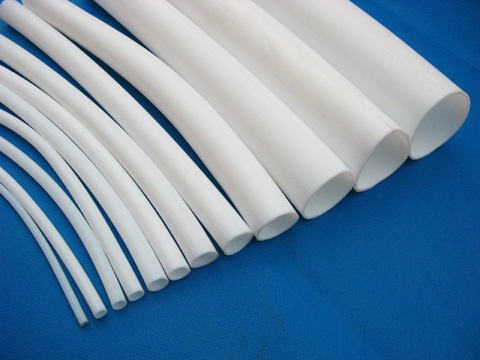 PTFE tubes manufactured are flexible tubes. They are manufactured in various continuous lengths from 300-20 meters. Continuos lengths depends on the OD & ID of the PTFE tube. We also manufacture long length PTFE rods or ropes with diameter 2mm-8mm. These PTFE ropes are used in sealing applications. For dimension tolerances of PTFE tubes and rods please contact us. As PTFE tube manufacturer we maintain extremely tight tolerances which eliminates leakage and/or reduces scrap. As a leading PTFE tube supplier, we ensure PTFE tubes are manufactured and delivered as per schedule. Some applications require properties like increased abrasion resistance or self-lubricating PTFE tubes. In such cases, our engineers study the application and come up with solutions to meet application requirements. For example, there are many applications which require PTFE tubes to have antistatic properties. We manufacture PTFE tubes which meet this requirement. We often get asked about how flexible the PTFE tubes are or how much pressure they can resist. If you have such queries please contact us via the contact form or send us an email. In addition to manufacturing virgin PTFE tubes, we offer services like sleeving, end flaring, specific cut lengths etc. In applications where one end of the PTFE tube / sleeve needs to be sealed, our seals have been tested to be leak proof / water tight at 15 kg/cm2 pressure during hydro testing. The quality of the seal is a result of technology developed inhouse. Thermal conductivity, 0.18 in Cenco-Fitch 1.7 B.T.U./hr./sq. ft./ degrees Fahrenheit /in. Resistance to weathering – Unaffected upto 25 yrs in temperate zones.